Quebec has launched a new initiative for the immigrants who want to make this province their home. It launched its Expression of Interest system in August as per which the candidates can apply without limits unlike the first come first serve basis model which was applicable earlier. Now, the candidates can apply without facing any restrictions on the time limit for application. Since no fixed slots exist for application, the applicants can apply at any time. The government of Quebec has now started an online portal through which applicants will find it easy to put their online applications. This online portal is known as Arrima. The candidates just have to register themselves on this portal and then put in all their details. These details should be about the education (area of training) of a candidate, his work experience etc. A candidate must also put information in his online profile on this portal about how well he knows French. Anyone who gets selected after his application is reviewed through Arrima will then be provided with an invite for a selection de certificate Quebec. Once this certificate is given, the candidate would be able to, provide the federal government with an Express Entry application. When he has the certificate de selection Quebec, a candidate has 600 points which aid him in getting an ITA after applying for Express Entry. The candidate should know that the validity of his profile is for 12 months. So, once his profile is created, on Arrima, he has 12 months to wait to get a Quebec de selection certificate. Once the candidate has the invite for the Quebec de selection certificate an application for it can be provided after a 3 months period. So, after the Quebec de selection certificate has been received, the candidate can then go forward in filing his Express Entry application. So, the area of training refers to post-secondary diplomas or degrees, workers of whom are needed in Quebec. Quebec has divided the Areas Of Training(subjects) into 5 categories which include, A, B, D, C or E. The candidate has various options available to him as far as Areas Of Training are concerned. A candidate can be holding a degree in any of the different subjects to get these points. These subjects are Biological and Biomedical Engineering, or Business Administration or Accounting and Accounting Science Etc. As per the Quebec skilled worker program, various points have been awarded for the varying educational degrees. A candidate can, however, get the maximum of 14 points once he is a Ph.D. degree holder. A candidate is also given points once he has employment promised to him in Quebec. So, a candidate can have employment in Montreal or outside Montreal. 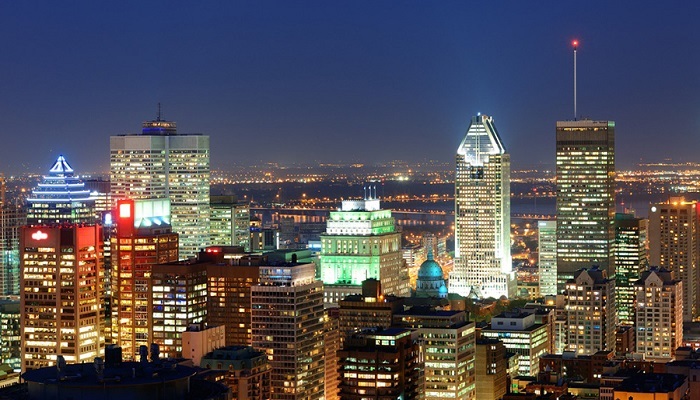 14 points are given as per the Quebec skilled worker program for job offers outside Montreal. There are 15 areas outside Montreal where a candidate is eligible to get employment and hence receive points. However, if a candidate has employment given to him in Montreal, he can be given only 8 points. Quebec skilled worker program. permalink.